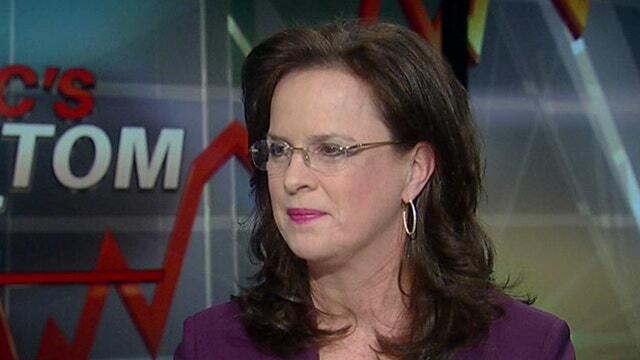 FBN's Liz MacDonald on the debate over minimum wage hikes in the business community. In his State of the Union address, President Barack Obama proposed hiking the minimum wage to $9 an hour by 2015, from $7.25, where it has been since 2009. The president also wants to index the minimum wage to inflation, so that it continues to rise in the future. But his proposals have many business and worker advocacy groups in an uproar. Backers say this is one of the ways to lift people out of poverty, and help other businesses due to increased consumer purchasing power. Opponents says the last minimum wage hikes wiped out tens of thousands of jobs and helped aggravate youth and college student unemployment, now stuck stubbornly at 24.6%, higher than historical levels. Is Government a Jobs Creator or Killer? Marco Rubio Relays GOP Response, Did Anyone Listen? But the business community says it would be a job killer. A minimum wage hike "could be very problematic for segments of a struggling small-business community,” says the National Small Business Association in a statement. David French, senior vice president for government relations at the National Retail Federation, said in a statement: "A minimum wage hike right now would be one more factor driving up costs for employers and creating headwinds for job creation, especially among the small businesses that create most of our nation&apos;s new jobs." The Employment Policies Institute (EPI) has multiple studies showing how minimum wage hikes, “including the one called for by the president, lead to job loss, not job creation, as well as fail to reduce poverty or stimulate the economy,” says Michael Saltsman, research director at the Employment Policies Institute. Critics of a minimum wage hike say it would result in businesses hiring fewer workers, or cutting back on the number of current ones. For the 10-year period from 1997 to 2007, the minimum wage was $5.15 per hour. Congress raised it to $5.85 in 2007, then again to $6.55 in 2008 and finally to $7.25 in 2009. That means over that three-year span, businesses who rely on minimum-wage workers saw their labor costs jump 41%, right as the economic crackup began. Young, inexperienced workers are typically the ones who take minimum wage jobs, and this group has been especially hard-hit by joblessness, notes FOX Business senior editor Charles Brady. Youth unemployment, which was below 15% before the 2007 minimum wage hike, soared all the way to 27% by October 2009, and is still at a very high 24.6% today.